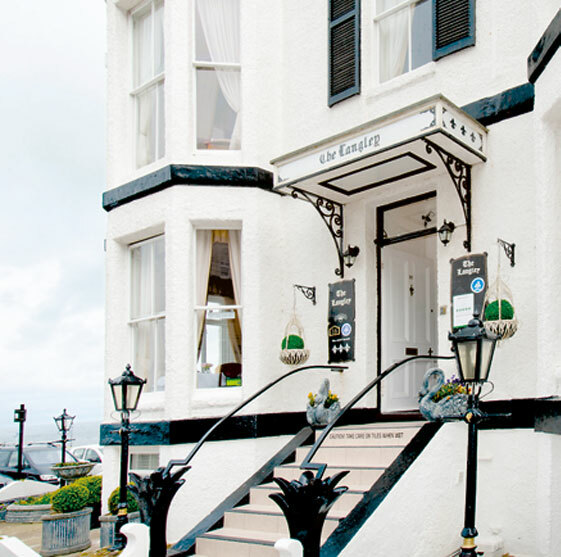 The Langley is a 5 Star bed and breakfast offering 6 large luxury rooms and a spacious sea facing breakfast room. The Langley is ideally situated on Whitby’s popular West Cliff and features panoramic views overlooking the North Sea. The Langley offers extensive services and amenities to guests, combined with an atmosphere of warmth and friendliness. You can relax while choosing from our vast breakfast selection in our spacious dining room - which looks out across the Crescent Gardens and out to sea. All our rooms have spacious en-suite facilities with a large walk in shower, complimentary toiletries, generous courtesy tray, wide screen TV, wi-fi internet connection, radio alarm, hairdryer, ironing facilities, safe and mini fridge.